’Tis the season of giving, and the time for showing love to those around us. Good will to all, am I right? But those around us are not just those we hold most dear — “they” also encompass the community around us. As a county whose pulse is “doing good,” it is no wonder it is filled with so many nonprofit organizations working to change our local and global communities. This year, consider donating to a cause in the name of your closest friends and family. They might not need another sweater, but the idea of having an impact on those around them? Nothing could be sweeter. Calling all dog lovers — if you believe in the power of a furry friend, look no further. Keystone Pet Enhanced Therapy Service (KPETS) is an organization to encourage, comfort and rehabilitate community members using human to animal interaction. The therapy dogs encourage communication with stroke and dementia patients, provide motivation for children to read, support cancer patients and more. There’s so many ways this organization “touches lives and warms hearts” — let it do that for you this giving season. An over 75-year-old Lancaster County tradition, the Bookmobile provides book access to senior communities, amish communities, poorer neighborhoods and countless other demographics. It was once said that books let you travel without moving your feet. The Bookmobile provides books for those who cannot move their feet and travel to the nearest library. Be the reason someone can learn, travel and experience something new through a book this holiday season. At the center of Lancaster’s heart for social missions and the arts, Friendship Heart Gallery is the perfect place to give back. This creative arts studio serves over 75 adults with Intellectual Disabilities and Autism providing them the opportunity to express themselves creatively. The best part: you can purchase the artists’ work as a gift for friends while supporting the artists and organization itself. While we may be joyfully gathering with our families this season, there are some whose family members are fighting for their lives. 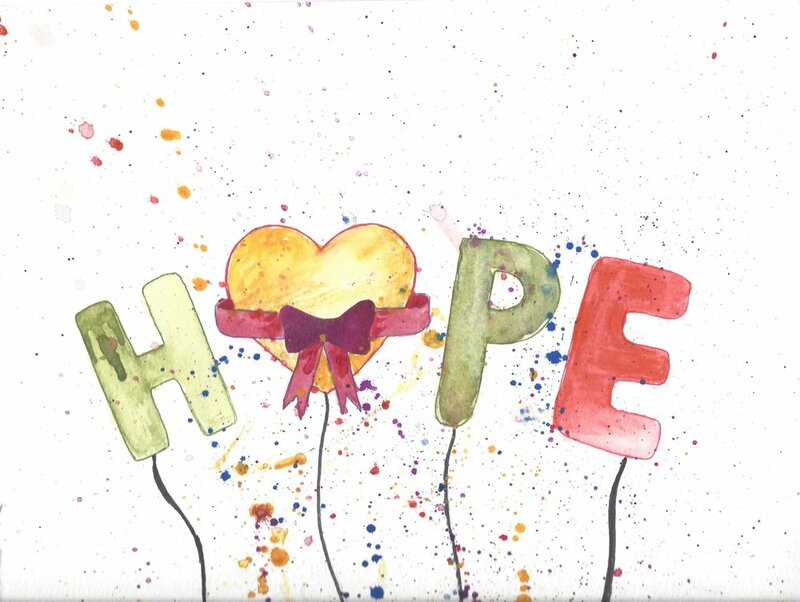 A Week Away provides respite weeks for families who are fighting life-threatening illnesses to give them hope to continue fighting, or even just feel normal for a week. Founder, Caleb Walker, was able to experience this precious gift on his journey which ultimately ended, however, his legacy lives on through A Week Away. Consider giving a little peace to someone this year. An innovator in orphan care, Horizon leads orphaned children to self-sustainability using their Micro Community model. With passion and purpose, this Lancaster-based organization takes holistic orphan care to another level, creating natural support systems with family at its center. With operations in Kenya, Horizon is soon looking to expand its outreach to other continents. You can donate directly toward an item from the organization’s holiday gift catalog or even sponsor a child. Over on East Liberty Street in Lancaster City, they are getting pumped up for the holiday season… pun intended. The Benchmark Program is a community of mentors that use physical exercise, academic advising and career counseling to help at-risk youth have successful futures. Through goal setting and unique planning, these at-risk youth are given an outlet through which they can overcome their past and move forward fearlessly into their future. You may know them best for the Social Enterprise Pitch, but Assets has been around for almost 25 years, believing in the positive effect of business on a community. Assets’ mission and vision is to provide support in entrepreneurial leadership to reduce poverty and promote sustainable communities through business. They provide business training programs and mentoring for low to moderate income Lancaster County residents dreaming of owning their own businesses. With an entrepreneurial spirit, Assets encourages others to think outside of the box and use business as an answer to social/environmental challenges. Milagro House breaks the cycle of homelessness by providing support services, education and housing for women and their children who would otherwise be homeless. This organization provides educational opportunities that help the young women become strong, independent and self-sustaining community members. Through group counseling, life skills training and parenting programs the young women are able to become successful. Many children leave school for the week and go hungry, as their families are unable to provide nutritious food or even food at all. Power Packs provides low-cost, healthy recipes and its ingredients for families, so children can be nourished physically and succeed in school. Beginning in 2004, this Lancaster non-profit now serves over 1,500 families. The purpose is not to just provide the food, but to educate families on the possibilities of healthy, affordable choices. Deck the halls, with increased music programming in schools and the community. Music For Everyone not only brings the fusion of art, business and music with its Keys to the City initiative, but it also brings increased programming into local schools. They provide instruments to students and underwrite music mentors to come into schools and help students cultivate their musical skills. Music is a universal language that connects us emotionally and spiritually. Give the opportunity for a child or community member to connect and collaborate through music.